How to remember a home (fragment) (2013). Installation view The Lovell Gallery. 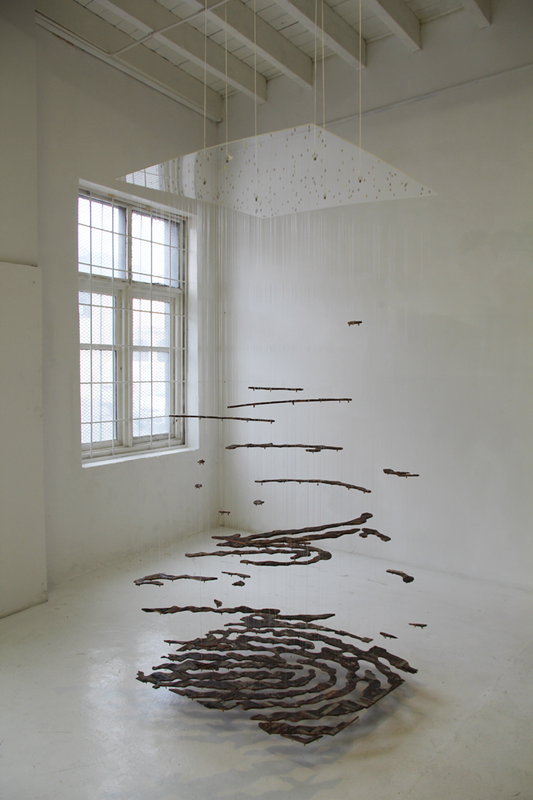 Suspended installation, discarded parquet floor blocks, gut, perspex. 1m x 1m x height variable.